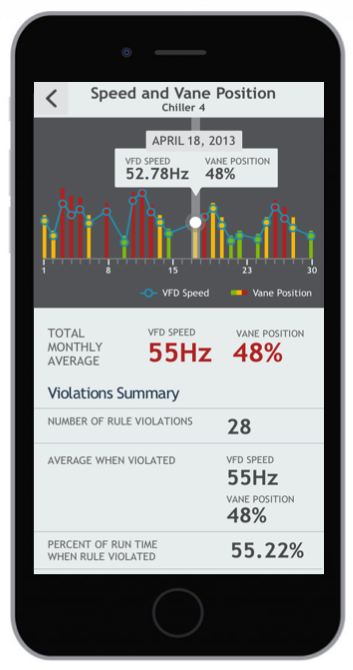 OptiCx™ Chiller Diagnostics provides full transparency into chiller operations through prioritized chiller maintenance recommendations available via interactive mobile app or through straightforward monthly status reports. Other tools provide lots of data. 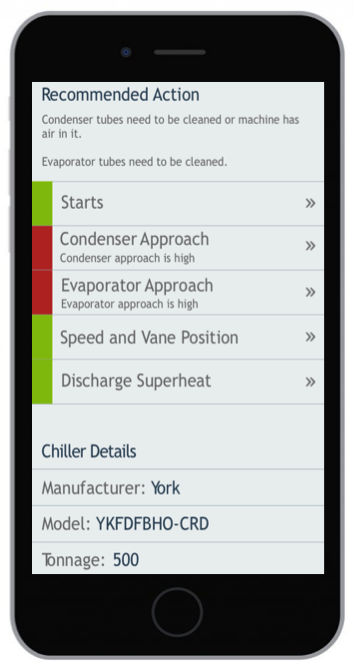 Chiller Diagnostics zeroes in on the important details and tells you what to focus on. It’s an intuitive scorecard in red/yellow/green format that forms the foundation of your action plan for chiller maintenance. And it’s available anytime, anywhere via the OptiCx mobile app for iOS and Android devices. 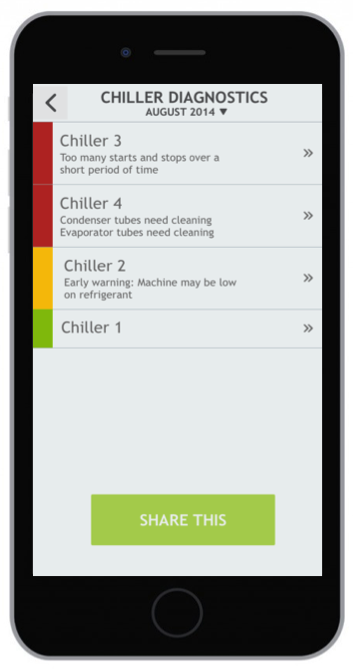 Available as an add-on for customers with the OptiCx platform, Chiller Diagnostics includes chiller-by-chiller recommendations in a monthly report. The software monitors rule-based alarms on details including average supply and return temperature, VFD speed, vane position, and more. It charts daily performance over the month, incorporating past data to illustrate changes in chiller performance over time. Drawing from centuries of cumulative chiller operating data on relative system and component performance, OptiCx Chiller Diagnostics categorizes Chiller issues and prioritizes recommendations.